The history of Controlled Power Company goes back to 1968 when they developed an innovative approach to the design and manufacture of modular AC to DC converters. 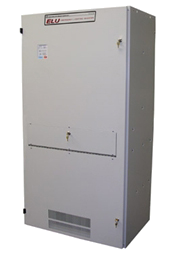 Since then, Controlled Power Company has built on that success to establish the broadest line in the power conditioning and UPS industry today. Our mission for the future is to continue to lead in the markets we sell to by anticipating and listening to our customer’s needs. 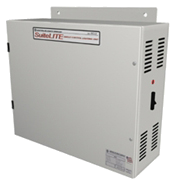 • Smallest and most effective ferroresonant transformer in the uninterruptible power supply industry. 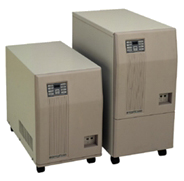 • Broadest line of power conditioners, UPS, regulators, and power supplies in the industry. The manufacturing philosophy of the company is to build internally as large a percentage of the product as possible. The reasoning behind the philosophy is to control the quality, cost and delivery of their products for the benefit of customers. At Controlled Power Company, customer support starts when we become aware our customer has a power problem and a need for a quick and absolute solution. Support continues until the problem is solved and the customer is 100% satisfied. Controlled Power Company offers unsurpassed product support that includes preventative maintenance programs, global technical assistance, and service 24 hours a day, seven days a week. With the broadest line of power conditioning equipment in the industry, and a customer list that reads like a “who’s who” of North America, Controlled Power Company has your solution.